Morning... I have a couple of cards using the now retired Birthday Wit Stamp set from Stampin Up. I really loved the quirky sentiments in this set. I made some really simple bright cards with one of the sentiments adding some simple doodles around the edges to finish it off. 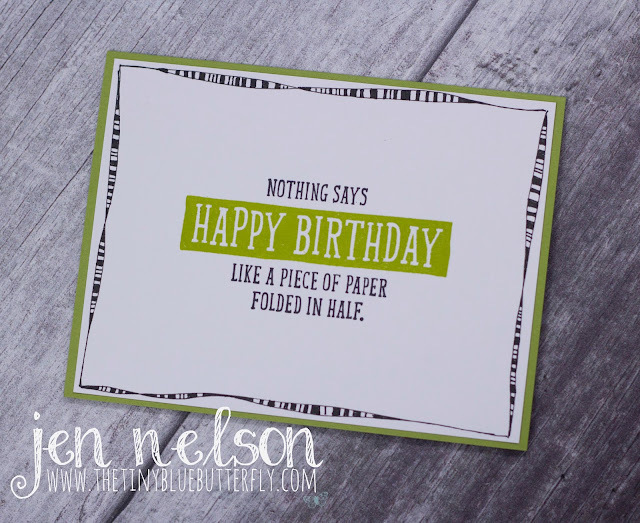 I stamped the image using the MISTI, first masking off the Happy Birthday part to allow me to do it in a different colour. I then masked of the part I had just stamped allowing me to add the different colour to the section of the stamp. The card is finished off with a grey shadow around the image using a copic and some fancy doodles around the edge before being mounted on a card blank made of tempting turquoise card stock from Stampin Up. The second one using lime green instead of blue and a change in the doodle around the edge of the card. I used Lucky Limeade Card stock from Stampin Up (I so wish they would bring it back as i'm hoarding it) as it matched the Altenew ink the closest. 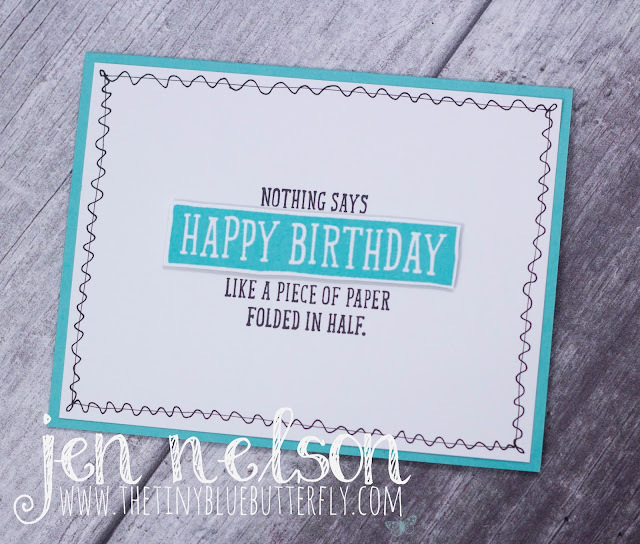 I really enjoy making quick fun cards like this and they are perfect for last minute makes. Hope you have a fab Wednesday! Love the doodle frames! And the super two tone CAS design. You're a Dragon, be a Dragon!